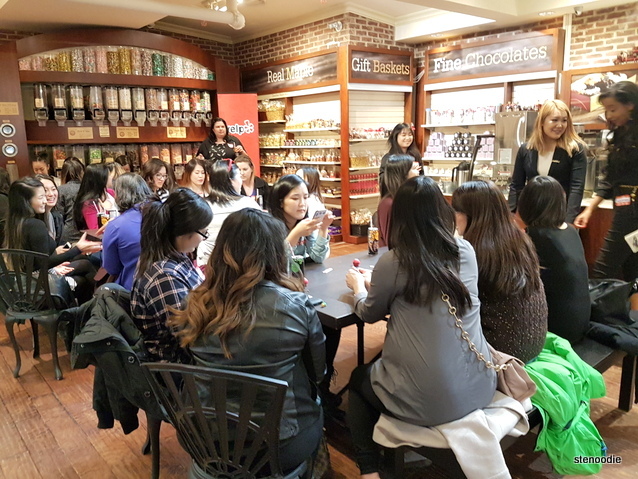 Last Wednesday, I attended the Firehall After Dark, a Yelp Elite Ladies only event, at Old Firehall Confectionery. 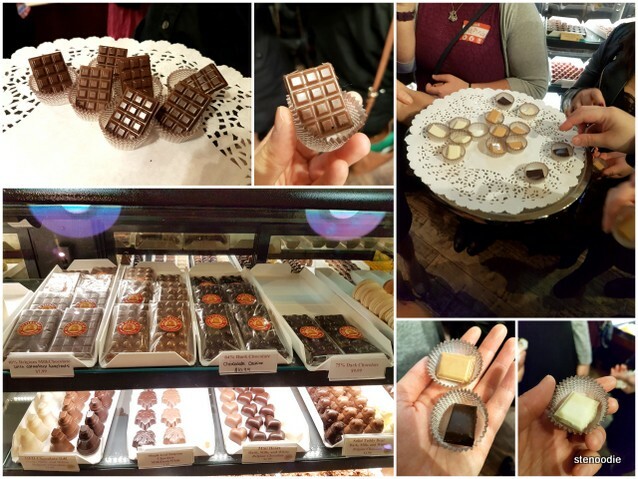 This was a really great event just for the Yelp Elite ladies to enjoy some sweets, alcohol, and lots of chocolate at this popular and well-known confectionery shop (there was a separate Yelp Elite event for the gentlemen too that same night). 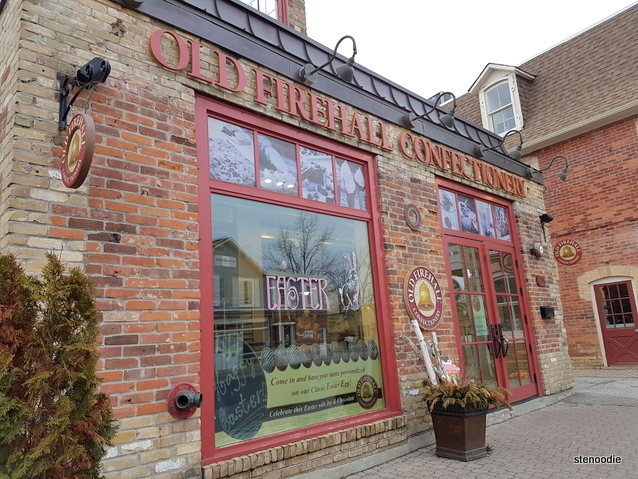 Old Firehall Confectionery is one of the major draws at Main Street Unionville in Markham where the entire store is lined with sweets and sugar treats fit for any age. 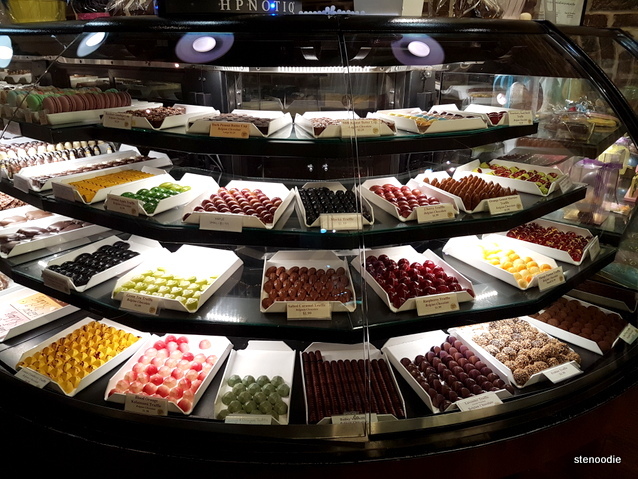 They serve everything from fudge, chocolates, ice cream, candy, tea, macarons, cakes, cupcakes, lollipops, and truffles, nearly all of which is made in-house! 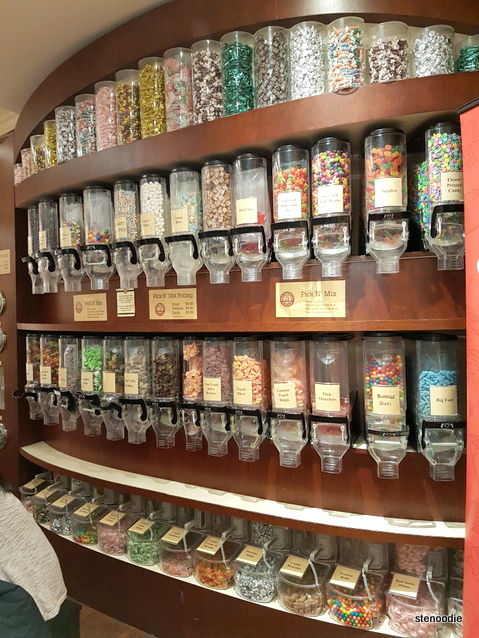 I have been to Old Firehall Confectionery before and always appreciated the huge selection of sweets that they offer. 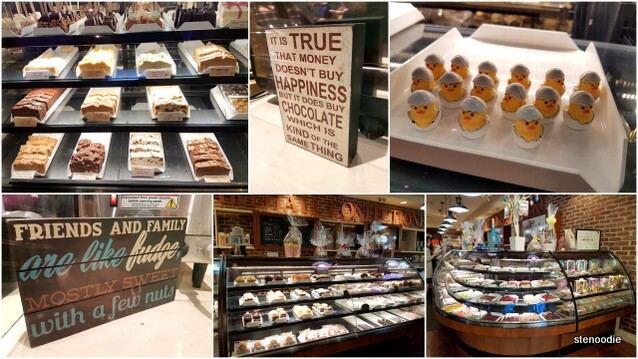 It always looks and smells amazing each time and there’s so much to see too in every corner — a lot of detail and thought put into the decor and arrangement of products. Storefront of Old Firehall Confectionery. This used to be a real firehall that could park 2 firetrucks inside! 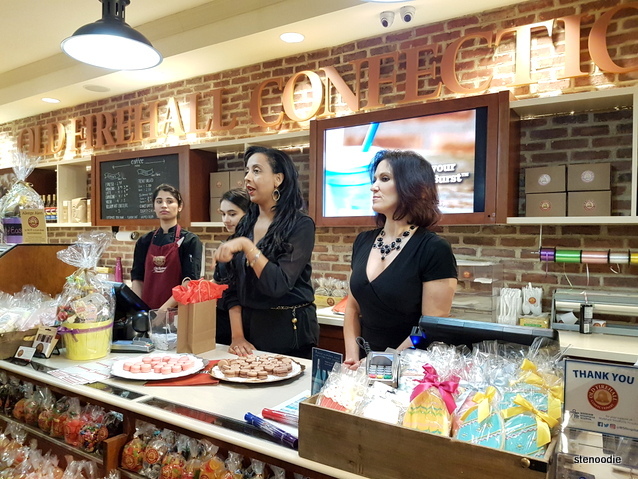 The event was slated to began at 7 p.m. and when I arrived there, the place was already swarming with ladies who were ready for the event to begin. I checked in with Amy and Josephine and got myself a drink at the SoCIAL LITE booth. 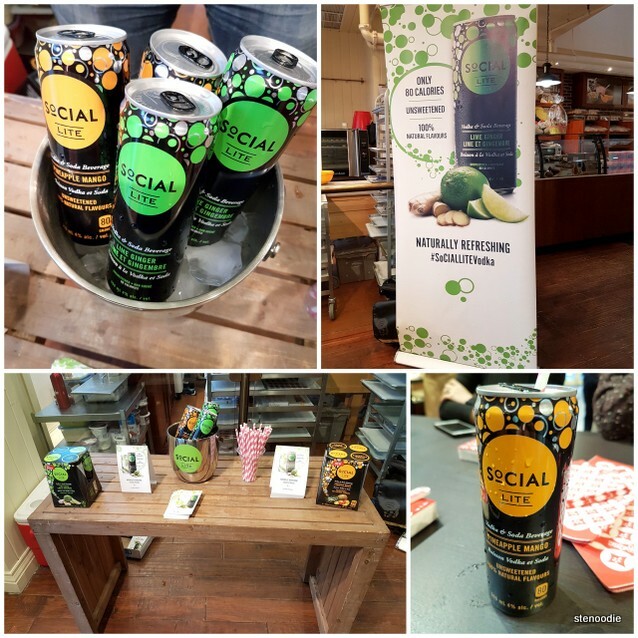 I had been to the launch party of this unsweetened, pre-mixed vodka drink last year and had already tried their Lime Ginger SoCIAL LITE flavour and really enjoyed it. This time, I tried their new pineapple mango flavour. Dan, the co-founder behind the company was also on hand to answer any questions we had. The second alcohol booth that night was from Hpnotiq which was an “almost opaque, medium turquoise colour; pronounced aromas of grapefruit, peach, passion fruit and light cognac; medium sweet, with vibrant, tropical fruit flavours and light caramel notes”. 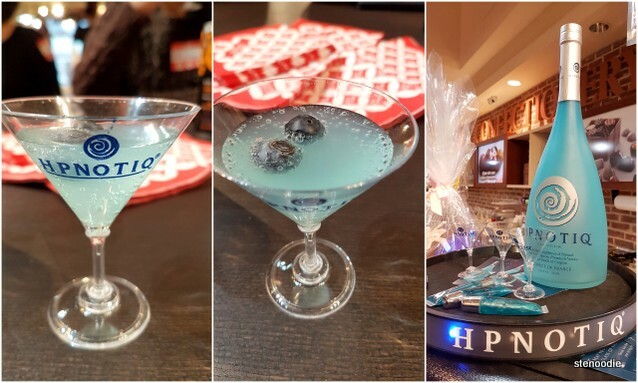 There was a representative from the brand too and served us samples of Hpnotiq in a really cute miniature martini glass with blueberries in it too. After the drinks, the Yelp organizer, Amy, kicked off the event with a warm welcome speech. 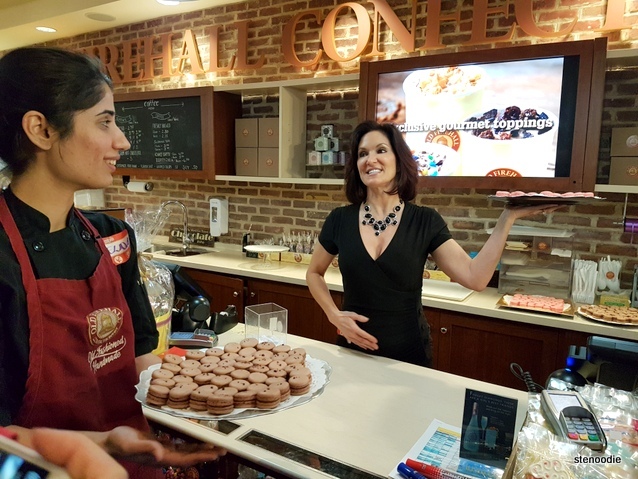 She then handed off the rest of the evening to the two co-founders of Old Firehall Confectionery, Kimberly and Natasha, who did an absolutely phenomenal and inspiring tour of the entire store for us. 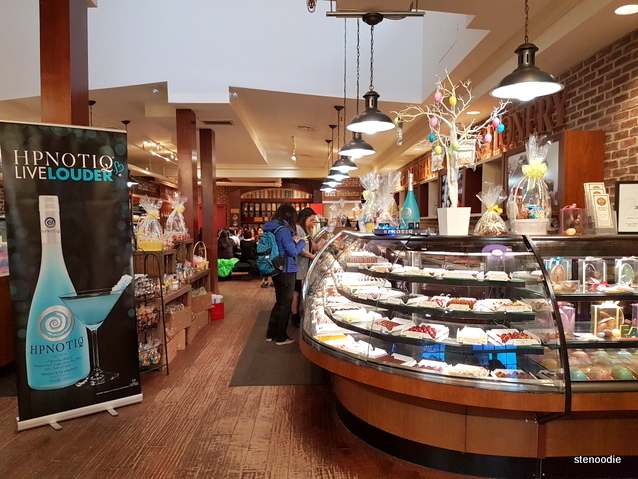 They were incredibly charismatic and so passionate about their business that it was a no brainer why their shop had done so well over the years. 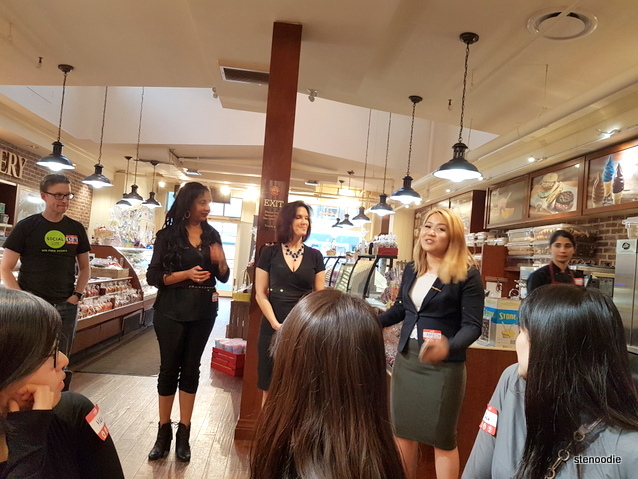 They really put a lot of time, effort, and dedication towards growing the store and it was evident in their speeches throughout the night. 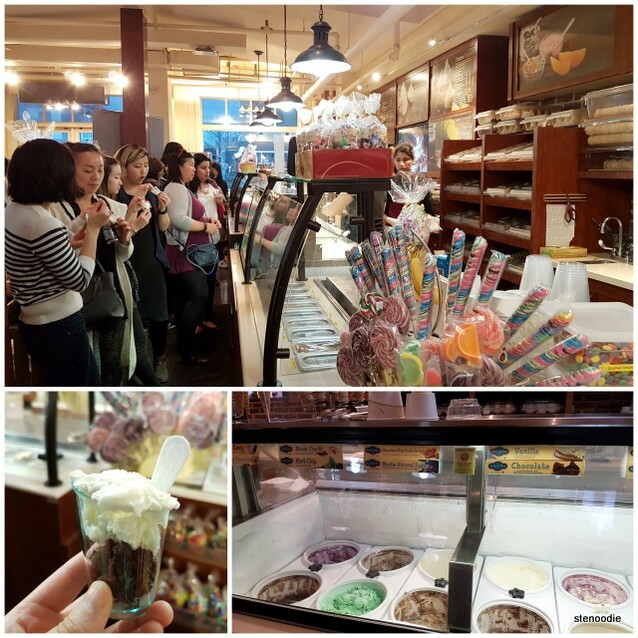 That night, I was really grateful and impressed to get to try a wide variety of samples in their store! 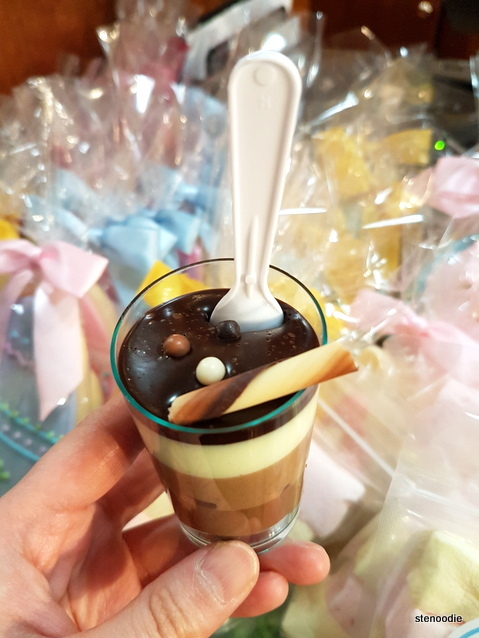 This included samples of fudge, vanilla ice cream with banana loaf, Apple Cinnamon Popcorn, hot chocolate, Chocolate Verrine, Mango Passion Cheesecake, chocolates (chocolate with nuts, white, caramel, dark), and two flavours of macarons! 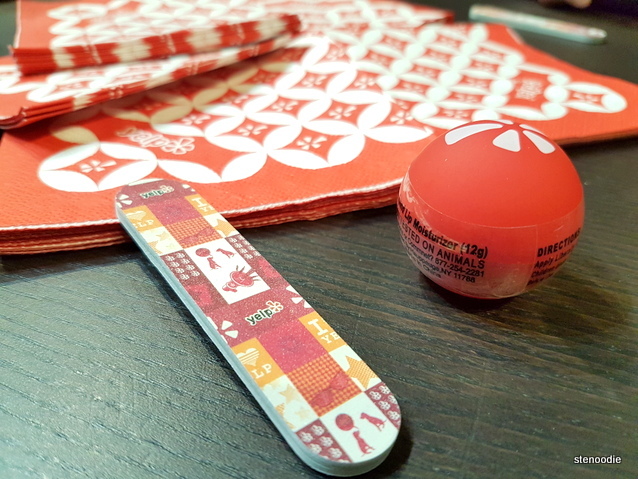 At each station, we were taught about the process that they used to make the sweets. It was a very well organized tour of the facility! 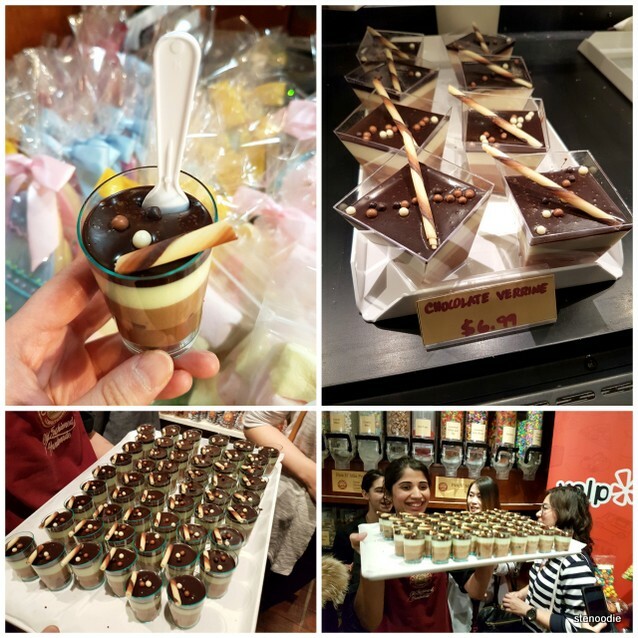 The fudge was made in-house by their many chocolatiers, one of whom was Thelma and here with us on the night to hand out samples and explain the processes of their work. I loved the Kawartha vanilla ice cream — it was so smooth! The piece of banana loaf at the bottom of the cup was exquisite as well. 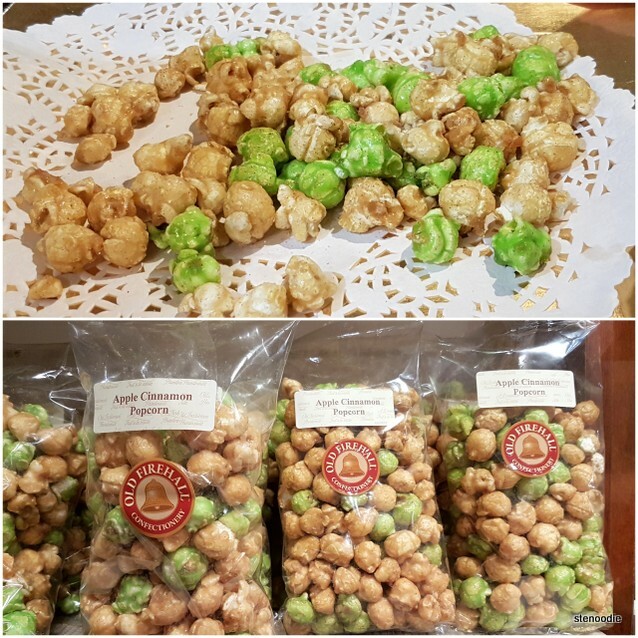 Kimberly opened a bag of their Apple Cinnamon Popcorn for us to try — yummy blend of sour and slightly sweet. Apple Cinnamon Popcorn — this was quite good! 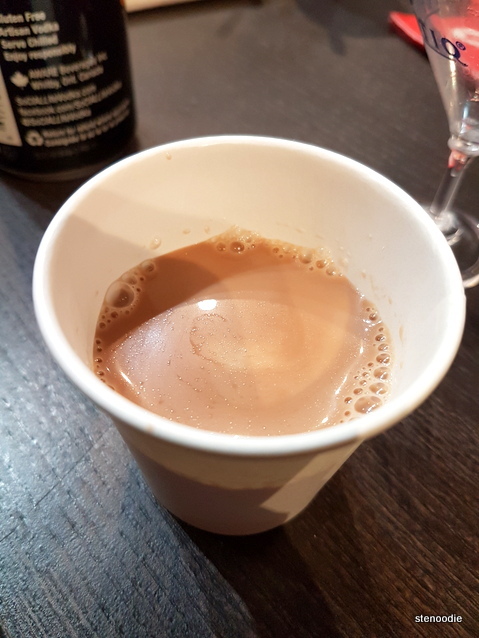 Their Hot Chocolate is made from two ingredients only — chocolate bars and milk! The Mango Passion Cheesecake was another one that was a surprise. 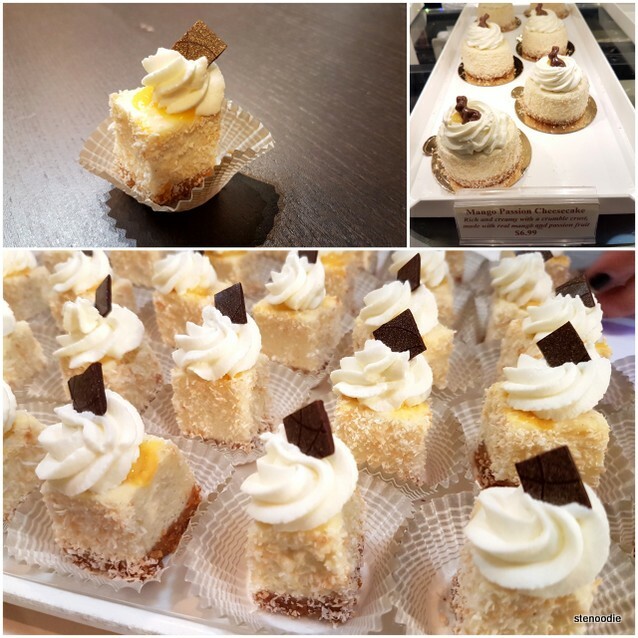 The small sample we got screamed of fresh mango and fluffy cheesecake that tasted salty and sweet at the same time. It was really good. By 9 p.m., the event wrapped up with a big group photo of all the attendees. Kimberly and Natasha were very thoughtful too to give a single gift to the lady whose birthday was closest to the day of the event! 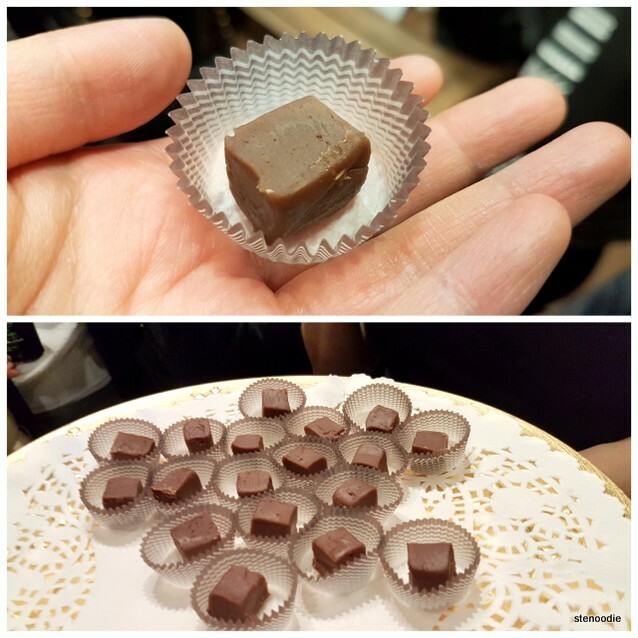 FTC Disclaimer: Although Yelp and Old Firehall Confectionery invited me to a complimentary tasting, the opinions expressed here represent my own and not those of the companies. 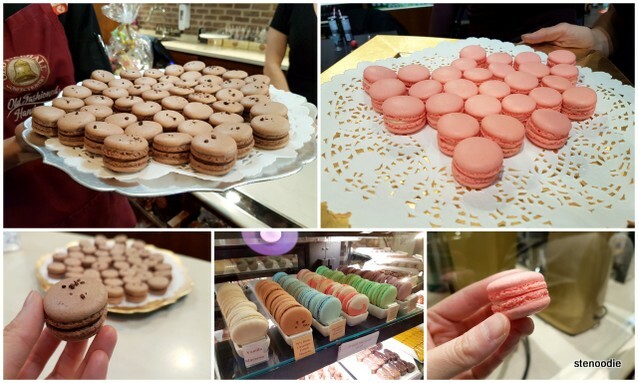 This entry was posted in Complimentary Adventures, Food and tagged 170 Main Street Unionville, A Yelp Ladies Night, Apple Cinnamon Popcorn, Chocolate Macarons, Chocolate Verrine, co-founders of Old Firehall Confectionery, confectionery, desserts, Firehall After Dark, food blog, foodie, hot chocolate, Hpnotiq drink, ice cream in Markham, Main Street Unionville, Mango Passion Cheesecake, Markham, Old Firehall Confectionery, restaurant review, SoCIAL LITE vodka, SoCIAL LITE Vodka Pineapple Mango, Strawberry Cheesecake Macarons, Unionville’s Best kept Secret, vanilla Kawartha ice cream, Yelp Elite Event, Yelp Elite events, YELP’s Top 100 Businesses 2016. Bookmark the permalink. How to contact with Amy? What do you need her contact for?